Thank everyone for making it a decent year despite the weather! If you would like periodic email alerts on picking status, please go to Contact Us and subscribe your email address. 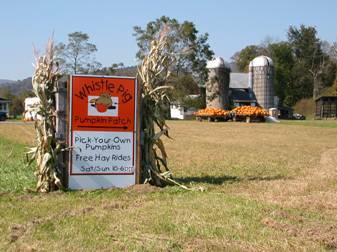 The Whistle Pig Pumpkin Patch is located near the town of Noxen, PA. 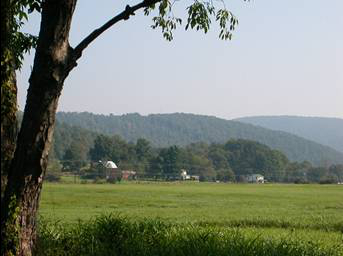 It is nestled at the base of Schooley's Peak and adjacent to Bowman's Creek. The farm began in the 1870's as a dairy farm and is now being developed into a "pick your own" operation by the Field family. 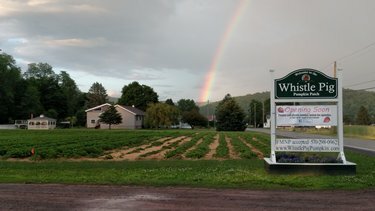 The farm is currently growing strawberries, summer and fall red raspberries, blueberries, black raspberries, blackberries, pumpkins, and gourds. In the fall, there are hayrides, a corn maze, and rustic campfire outings in our wooded picnic areas. 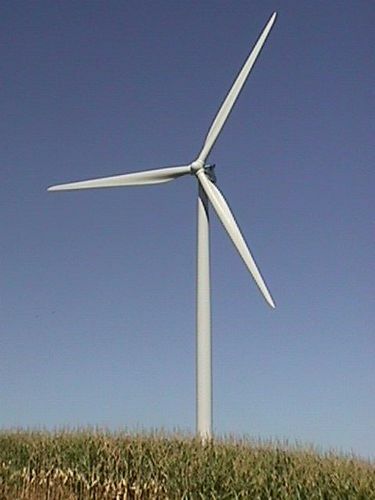 Wind turbines have been erected by BP and are visible from our farm.